Entertainment is our job - You must be friendly and open to talk to the guests. During the breakfast, lunch and dinner the entertainers are with the guests. Tennis Instructors are having practical experience in teaching tennis courses and high level skills in playing tennis themselves. 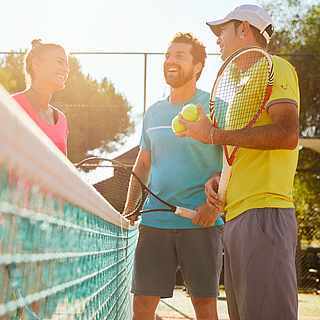 Tennis Instructors have motivation and a positive attitude to teach guests. 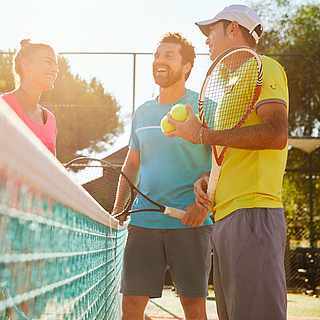 Tennis Instructors are going to independently run varied and challenging tennis courses following the TUI MAGIC LIFE guidelines and concept with a positive attitude. They are responsible for the guest´s safety during their program. Maintenance and repair of tennis rackets (string tensioning) and cleaning and checking the courts on a daily basis is part of the job. Tennis Entertainers are having a good constitutional fitness level and are tough enough to stay on the court also with southern climate conditions. Ideally, the Tennis Entertainers do not only speak English but also German and other languages fluently.